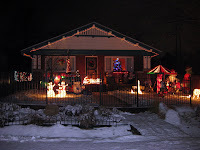 I love Christmas lights. Perfect Christmas lights. I like simple, classy lights. 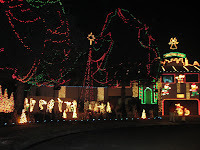 I may or may not scream when I see perfect lights on a house and may or may not have scared my friend in the process. 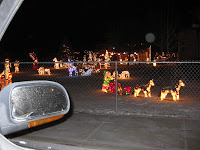 Here are some lights I have seen in Utah and Idaho that do show perfect lights. 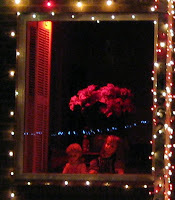 Creepy dolls enjoying the Christmas lights outside the window. You should see the front yard. This house has a blow up carousel. And by saying "I may scream", she means she does scream.